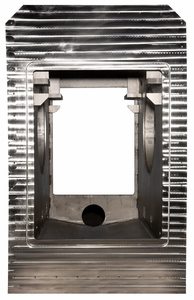 Vacuum chambers are used for ovens, medical, military, aerospace and other industries requiring vacuum levels deeper than 10 to 3 torr and into the 10 to 7 torr range. With vacuum drying it enables effective drying without residue or damaging the material being dried. Samples and similar materials incorporating flammable and non-flammable solvents can be dried, depending on the individual use. The chambers use a unique safety design that, together with accustomed outstanding performance, sets the bar in terms of quality and safety. These chambers can be used for solvent or aqueous cleaning. Clean, rinse, blow dry and vacuum dry.